Bosses at the north and north-east’s two busiest airports are hoping networking at a major industry conference in Germany this week will pay off with many more flights. They are at the Routes Europe event in Hanover in a bid to drum up new business. For Inverness, it is a case of building on British Airways and KLM adding extra services from the Highland capital to London Heathrow and Amsterdam, respectively. Aberdeen International Airport (AIA) is represented in Hanover by its head of route development and marketing, Steven Marshall, and some of his colleagues from AIA parent AGS Airports. 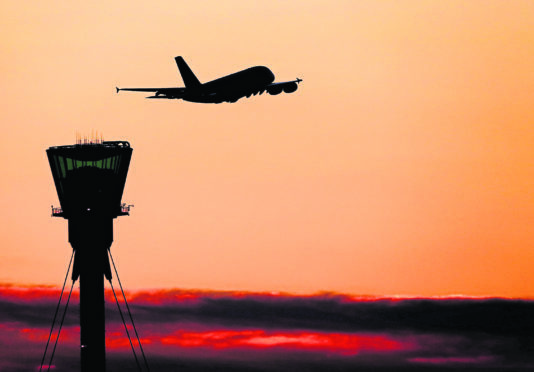 Their efforts to woo new airlines to Aberdeen or persuade carriers already operating out of Europe’s oil and gas capital to add more services comes after a succession of axed routes. Mr Marshall said Routes Europe, which started on Monday and ends today, was a “brilliant” opportunity to build for the future. He added: “The Aberdeen story for 2019 and 2020 is really positive. Routes Europe brings together leading aviation industry players to discuss air services to, from and within the continent. About 1,200 delegates are expected to attend the event over the three days. They have access to some 100 airlines, 300 airports and 50 tourism authorities through about 4,800 face-to-face meetings. Conference speakers are discussing the most pressing issues facing aviation now and into the future. Not surprisingly, Brexit is high on the agenda and Monday’s sessions included a panel debate on the subject. Airports chief commercial officer Francois Bourienne. Opportunities generated by the Euro 2020 football tournament, with host stadia including Hampden Park in Glasgow, were the focus of another panel debate. Yesterday’s sessions looked at the future of integrated tour operators, aircraft technology and consolidation and competition in the sector. Today’s airline briefings include one from Bence Szabo, head of network with easyJet. The event comes just weeks after Eastern Airlines and Flybe axed their franchise partnership services between Aberdeen and London City Airport. Earlier this year, easyJet brought a halt to its Aberdeen-London Gatwick service. Lufthansa’s decision last year to end its Aberdeen-Frankfurt flights was also a hefty blow for AIA as it took away a valuable link to one of Europe’s biggest airports and a key hub for onward connections.